The Pennsylvania Department of Education has launched a new system for measuring academic progress and college and career readiness in the state’s about 3,000 schools. The Future Ready PA Index, released Wednesday, replaces a single score method of evaluating schools with a dashboard that includes test scores, annual academic growth rates, graduation rates and other measures. State education officials created The Future Ready PA Index after gathering feedback from stakeholders across the Commonwealth who gave input into “how we can more effectively measure and support student success,” said Matthew Stem, the state’s deputy secretary for elementary and secondary education. The index restored state reporting of the academic achievement of subgroups including students of various races, those with economic disadvantage, English language learners and students with disabilities. And, it gives users the ability to compare districts of similar size, achievement levels or other characteristics. Initially, the index may bring more confusion than clarity to users who are accustomed to seeing a single score for each school as previously provided on the annual School Performance Profiles issued by the state Department of Education. But the department has been moving toward an evaluation system that does not label schools with a single score based largely on test results for some time. 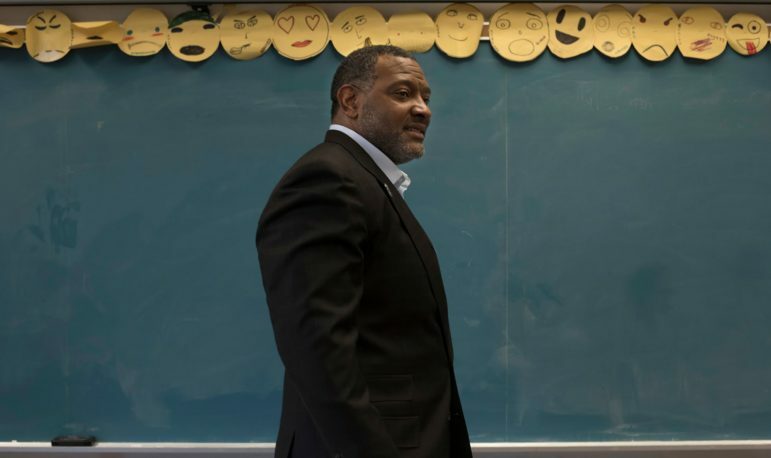 Pittsburgh Public Schools Superintendent Anthony Hamlet said district leaders haven’t had a chance to dig into the school profiles on the index but will be doing so in the weeks to come. The superintendent told PublicSource he is happy to be moving away from a system that graded each school with a single score. “I think that’s what you want to get away from. It doesn’t quantify for growth, which is huge,” he said. The system won’t be totally without labels. In several weeks, the Department of Education will release two lists of low-achieving schools. Those on the Comprehensive Support and Improvement list will be the lowest performing 5 percent. The Targeted Support and Improvement list will include schools with subgroups performing commensurate with the lowest-performing 5 percent, Stem said. Test scores are prominent on the links for each school in the index; however, the system includes additional context, like measures on whether students have moved forward a year or more in the subject matters of English, math or science. It also includes measures on how on-track students are to meet 2030 proficiency rates set by the state. The Pennsylvania System of School Assessment exams are given annually in grades 3-8. Keystone Exams in algebra I, English and biology are given at the secondary level when students complete those courses. Across the state, proficiency averages were 63.3 in English, 45.8 in algebra and 64.5 in science. The additional measurements in the index provide windows into achievement at schools that have traditionally been labeled as failing based solely on proficiency rates. Hamlet said he likes the change. At Pittsburgh Obama 6-12 and Pittsburgh Perry 9-12, students scored below state proficiency rates in English, math and science. But Obama exceeded the one-year growth measure in English, and Perry met its interim target for reaching the 2030 state goal. At Westinghouse Academy 6-12, students scored significantly below state averages, with proficiency rates of 20.4 in English, 5.8 percent in math and 14.2 percent in biology. In English, however, students met the interim goal for reaching its 2030 state goal. 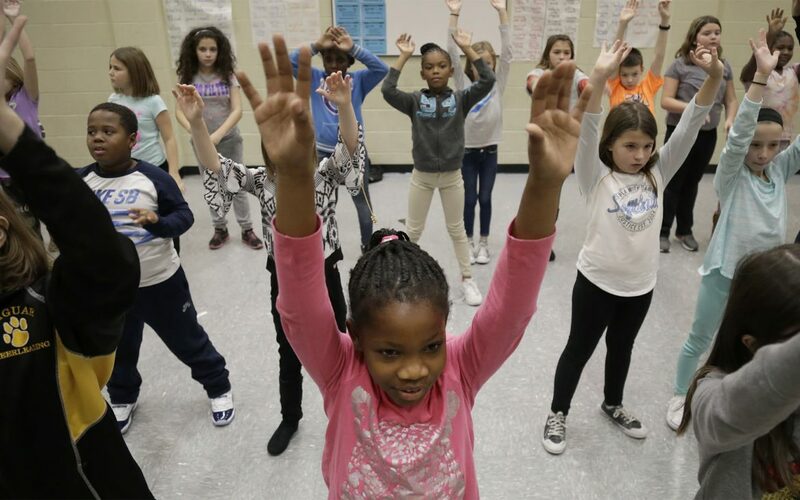 At the elementary level, Pittsburgh King K-8 had among the lowest test scores with 6.5 percent of students scoring proficient or above in math. Students’ English proficiency rate of 19.4 met the standard for a year’s worth of growth. At Pittsburgh Arsenal 6-8, student proficiency rates were below state averages in English language arts, math and science. But they met the one-year growth standard in English and math. The same holds true at Pittsburgh Arsenal K-5. Hamlet credits the progress in English scores to the new English language arts curriculum implemented last year. He’s hoping to see similar improvements from the new math curriculum rolling out this year. Though there was no single score to rate districts, individual dashboards of schools across the city and county revealed who was among the higher achievers and those who were falling behind. Among the 6-12 and 9-12 high schools in Pittsburgh, two — Pittsburgh CAPA 6-12 and Pittsburgh Science and Technology Academy 6-12 — exceeded state proficiency averages in all three subjects. At Pittsburgh CAPA, student proficiency rates in English [84.8] exceeded state goals set for 2030. At Pittsburgh Science and Technology, biology proficiency [86.2] exceeded the state 2030 benchmarks. Among elementary schools that exceeded state averages for proficiency rates in English, math and science are Pittsburgh Colfax K-8, Dilworth K-5 and Pittsburgh Montessori exceeded state proficiency averages in all three subjects. Among schools with lower achievement, students at Pittsburgh Brashear 9-12, Pittsburgh Milliones 6-12, Pittsburgh Obama 6-12, Pittsburgh Perry 9-12 and Pittsburgh Westinghouse 6-12 scored below state proficiency averages on all subjects, though some met or exceeded growth measures in some subjects. Pittsburgh Langley K-8 and Pittsburgh Morrow met no state proficiency averages, no interim target toward state goal and no growth target. Around the county, proficiency rates, predictably, varied by the affluence of the districts. The high schools with the highest percentage of students scoring proficient in English language arts, math and science in suburban districts included Mount Lebanon, Upper St. Clair, Hampton, South Fayette, Fox Chapel and Pine-Richland. Financially struggling districts struggled academically as well. Proficiency rates at Sto-Rox Junior-Senior High School were among the lowest of the suburban schools at 26.1 percent in English, 10 percent in math and 20 percent in science. Also scoring among the lowest was Clairton Middle/High School with proficiency rates of 30.9 in English, 12.7 in math and 27.7 in science. Both schools were featured recently in a PublicSource series on how school funding inequities affect education in Pennsylvania. To see how your school is performing academically, check here. Freelance writer Stephanie Hacke contributed to this story. She can be reached at stephanie.hacke@gmail.com or on Twitter at @StephOnRecord.